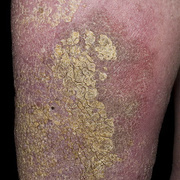 With contact dermatitis, a patch of tiny, scaly blisters crops up in an area that tends to rub against clothing or jewelry (like the neck, waist, groin or wrist). 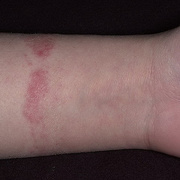 It can also show up on the hands or face (where the skin may have been touched by a new lotion, cream, plant, chemical, or food), although the rash often starts in skin folds and joints. 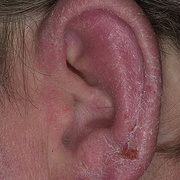 Contact dermatitis can be very mild and disappear quickly, or produce large, oozing blisters that last for days. 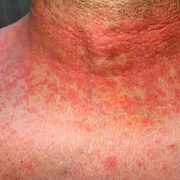 In both cases, it can be very itchy but isn’t contagious. 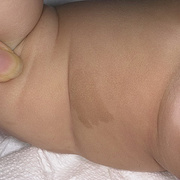 Diaper rash, drool rash, and poison ivy are two common examples of contact dermatitis. 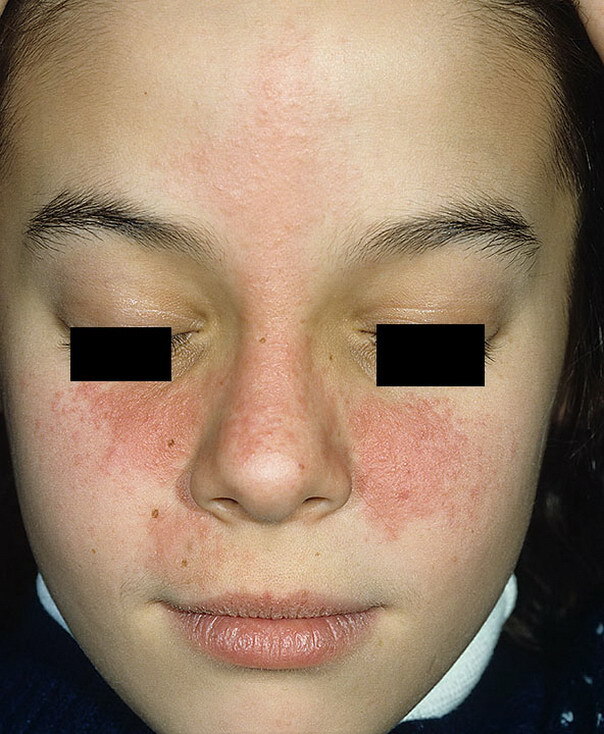 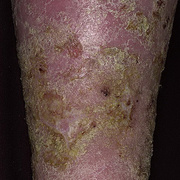 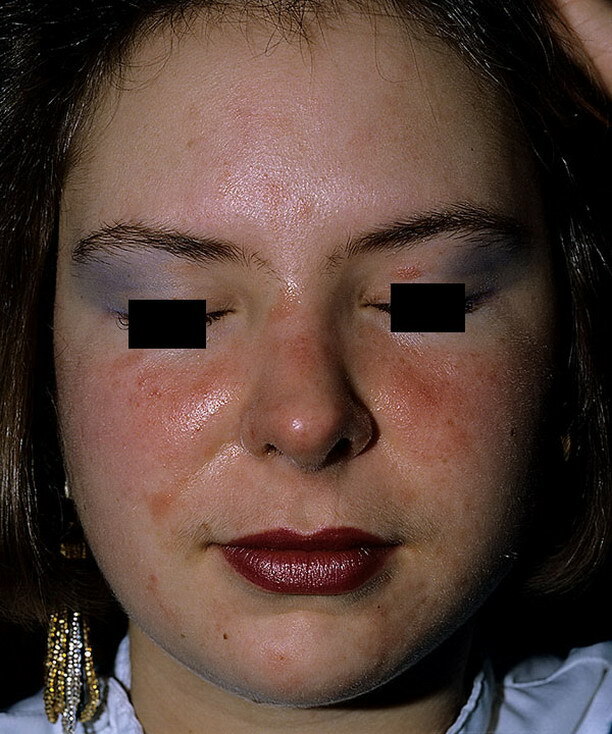 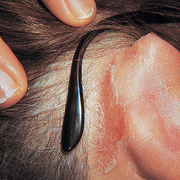 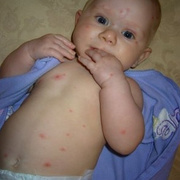 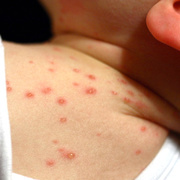 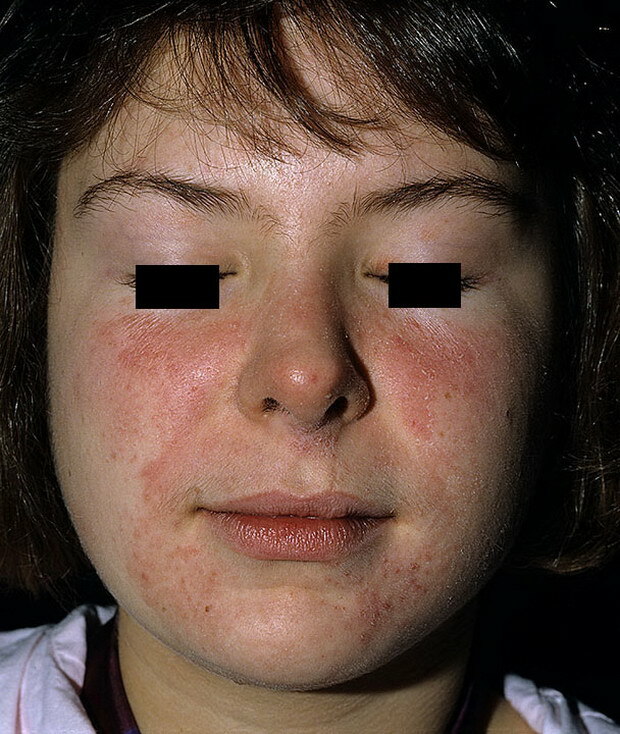 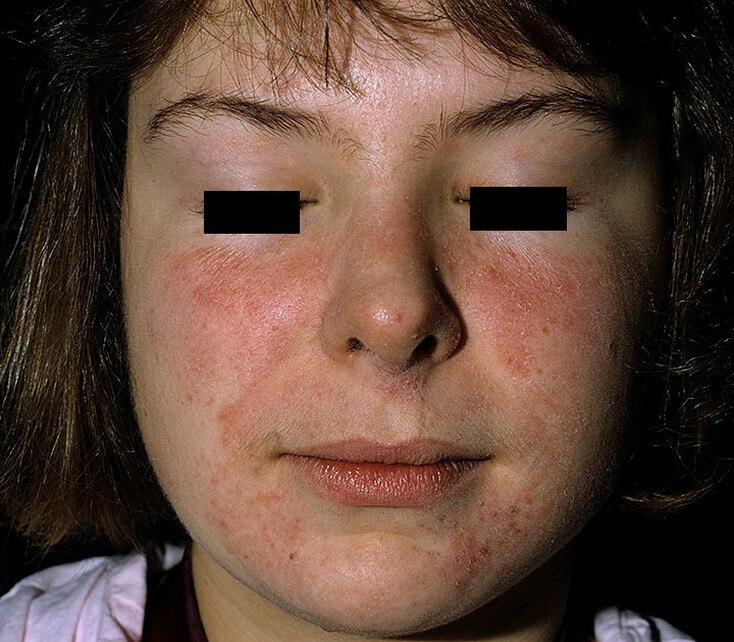 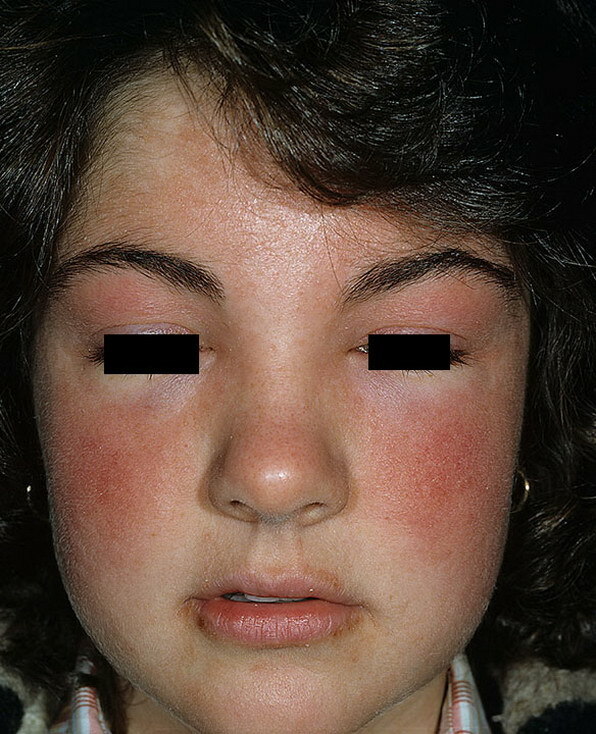 The rash should disappear on its own within two to four weeks. 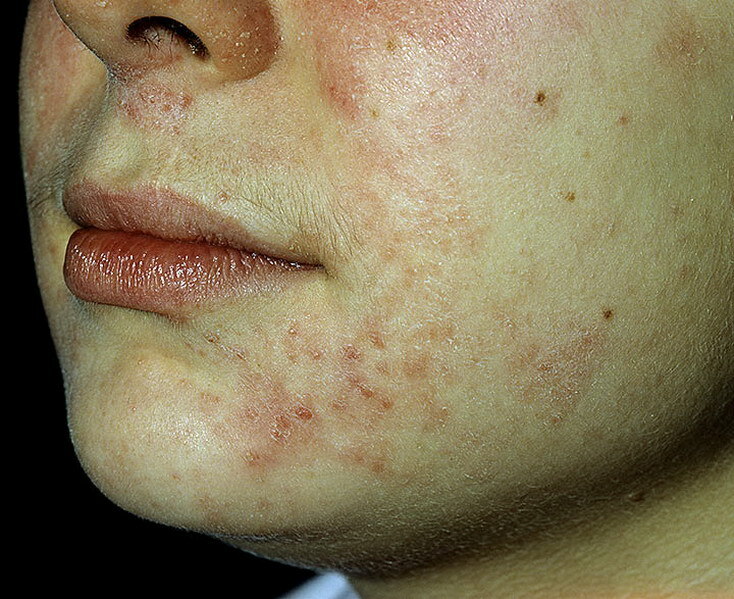 In the meantime, a thin layer of over-the-counter 1% hydrocortisone cream (only use as directed) will help relieve itchiness for small patches, but a doctor might prescribe an oral steroid such as Prednisone for severe cases affecting large areas of skin.